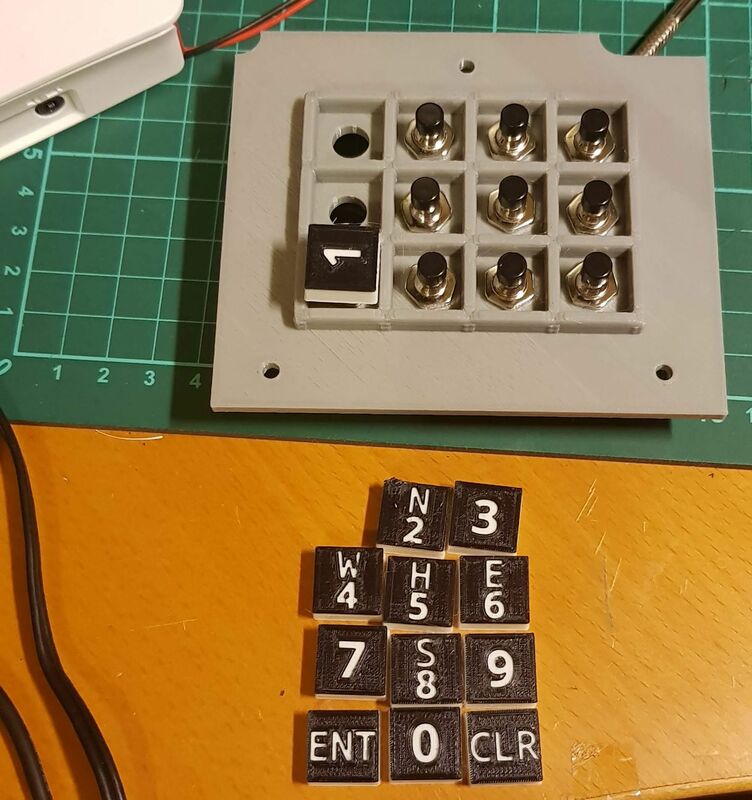 3D-printed keycaps ... and the possibility of backlit keys! | Life, The Universe and ... Everything! printing the letters recessed on black filament, and then using a fine tipped paintbrush, filling in the recessed parts with white acrylic paint. This method was ok for single letters, but for keys with multiple characters such as "EXEC", my hand painting skills were not up to the task. Printing a blank keycap with white filament, and then printing the label on 2 layers of transparency sheets. This involves cutting the transparencies into perfect rectangles (the edges look ugly when viewed close up otherwise) and aligning them perfectly. Again, this method is let down by my handy work skills (which is why I prefer the precision of a computer). The blocks were 14mm x 14mm x 5.4mm. There's a recess (not seen in the above picture) on the underside for the keycaps to fit the switch's actuator. The letters are created as a "hole" and raised to 5mm height, and are > 4mm in thickness, and end up creating an embossed image into the block when grouped. They look much neater than my hand made keycaps. To print different layers in different colors on my original prusa mk2 3D printer requires some trickery. 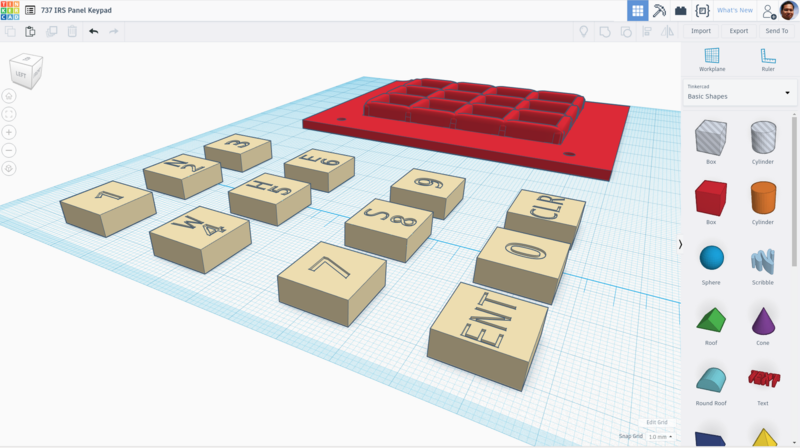 First I exported the keycaps as a .STL out of tinkerCAD. 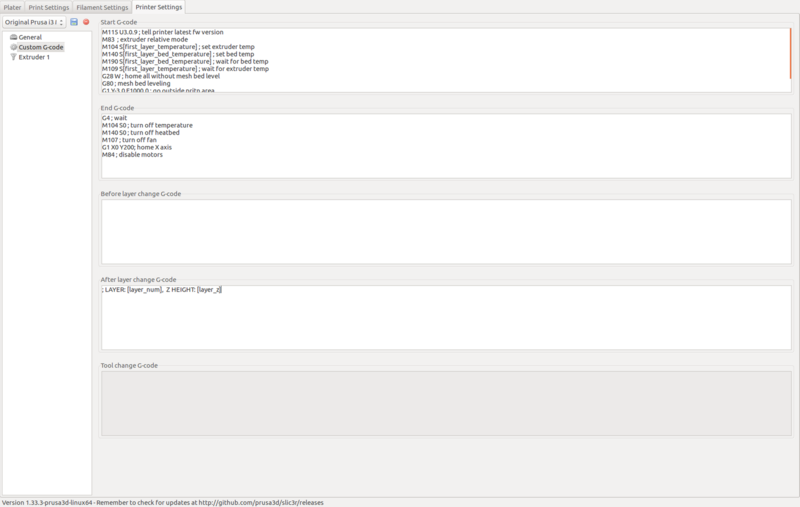 This causes Slic3r to emit a comment inside the generated G-Code whenever there is a layer change. Next I opened my exported STL from TinkerCAD into Slic3er. 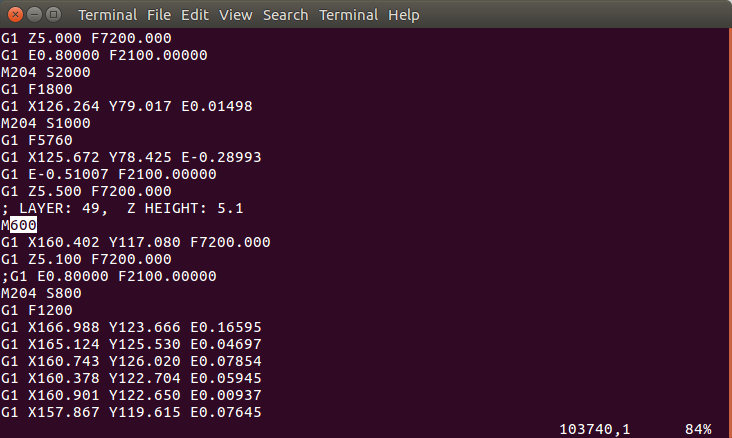 Instead of the usual "Send to Printer", I used "Export G-Code" and wrote the G-Code out to a .gcode file. I then sent this .gcode to the 3D-printer, and started printing with white filament loaded. Around the time it was printing Z-Layer 5.0 (you can monitor this from the LCD panel on the printer or from Octoprint's G-Code Viewer tab), I waited by the printer. When it has done printing Z-Layer 5.0, the printer automatically paused the print and started beeping and displays a prompt to remove the existing filament. At this point I changed to print using black filament. The remaining layers to be printed are for the material surrounding the embossed letters, thus creating a black face, and leaving the recessed letters in white. A slight downside to this is that when the keycaps are viewed from the side, you can see the black and white layers. This may be ugly if the side of the keys are visible. It's fixable by painting the sides by hand with black acrylic, something i can do easily as it doesn't require much precision. I think with some tweaking of the LED brightness and adding a few more layers of black, they may end up looking quite decent. Not as good as the ones made with a CNC machine, but when all you have is a 3D printer, this is probably acceptable. 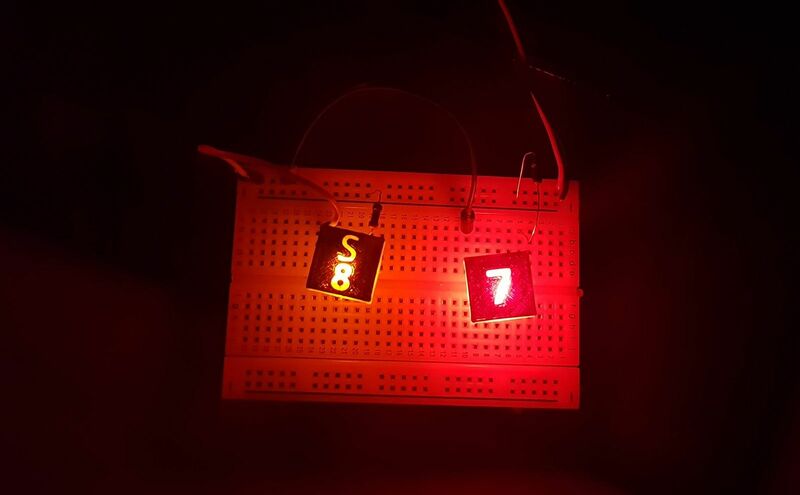 It looks like at some point I will create a new version of my FMC PCB, but with support for backlit keys.